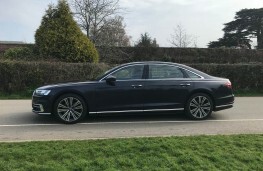 SALES of chauffeur caps may well have peaked and be going out of fashion right now as the latest Audi A8 limousine is so good to drive, high-powered executives will want to drive it themselves. It's the fourth generation A8 luxury saloon and it is packed to bursting with all the latest technology and even features steps towards autonomous driving. 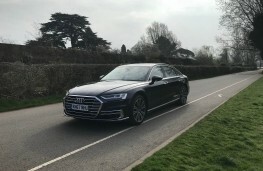 The A8 in long-wheel-base guise is simply massive. It measures just over 5.3 metres and I thought I might need to arrange for the demolition of a couple of houses in my cul-de-sac to turn the car around. 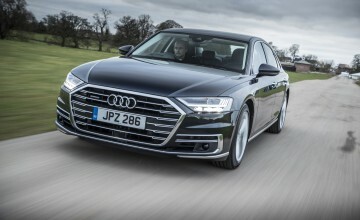 But, it's surprisingly agile - in fact it's a car that's full of surprises. For example, all new A8s are hybrids and are fitted with 48 volt mild hybrid technology which helps provide superior, smooth running as well as improved performance and more frugal fuel efficiency. There are more than 40 driver assist systems available and the level of on-board luxury is second to none. In fact, after a week exploring the car, I was still discovering clever new functions. 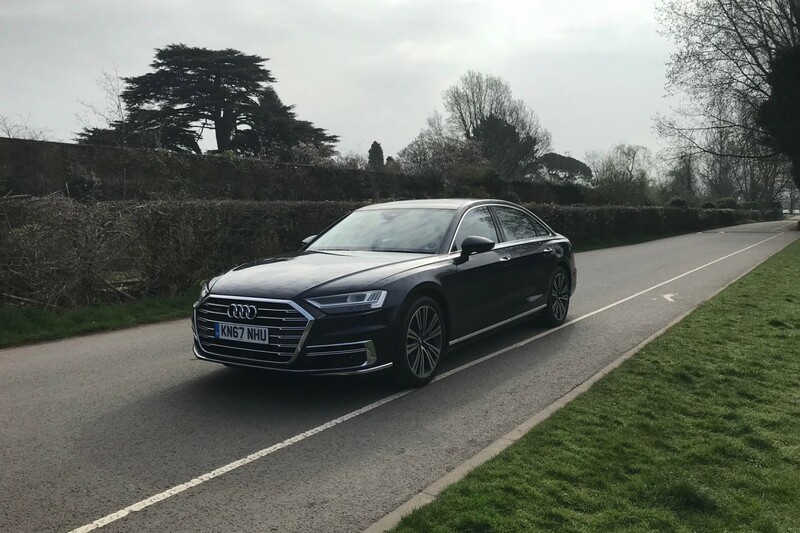 When it comes to styling, the A8 is a beautifully designed car with smooth streamlining, HD Matrix LED headlights with high beam assist, LED rear lights and dynamic sweeping indicators. The windscreen boasts acoustic glazing and the side and rear windows have heat-insulating glass. 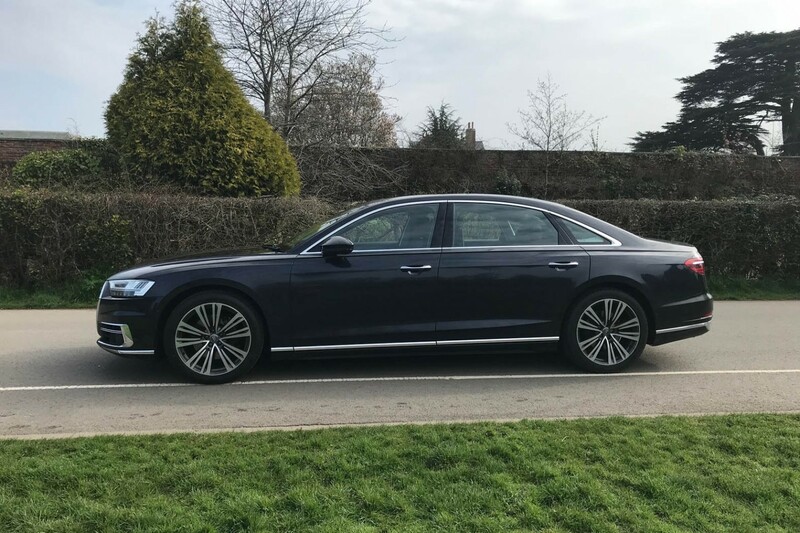 This model featured a number of optional extras that saw the starting price increase from £72,210 to £108,630 and these included a panoramic sunroof (£1,750) and 20-inch, 10-spoke alloy wheels costing a whopping £4,450. The interior oozes elegance, luxury and sophistication at every turn and there is a wealth of on-board technology to explore. Creature comforts include a 10.1-inch touch display system along with a second 8.6-inch display just below it. 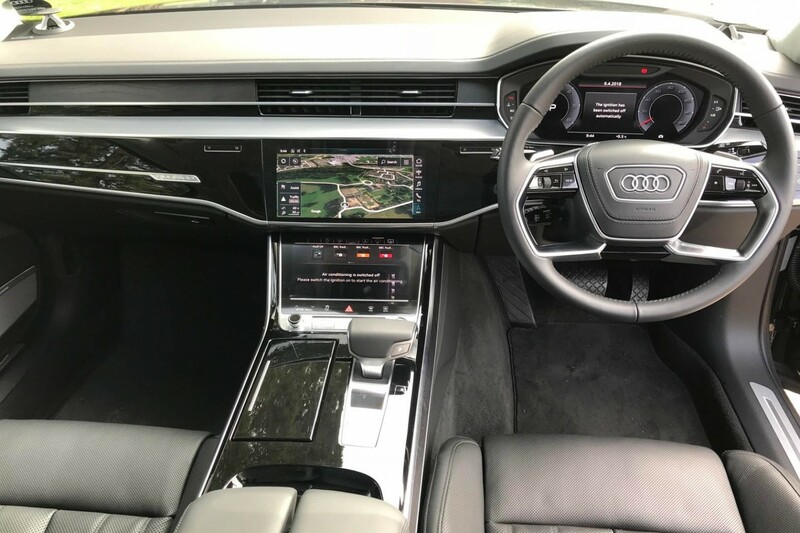 The upper screen is where all the infotainment and navigation controls are and the lower screen is dedicated to climate control. 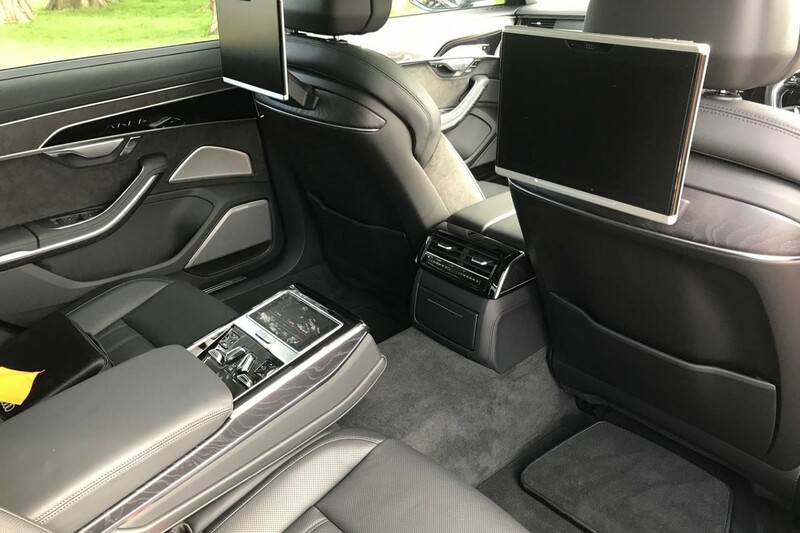 It's by way of this second screen that the steering wheel heater, along with the seat heaters and massaging systems are controlled. 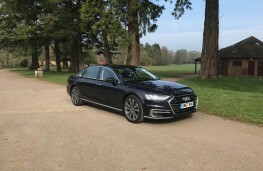 Other features include full smartphone connectivity, sat nav, wireless charging, four-zone air conditioning plus a chunky grab handle gear stick. 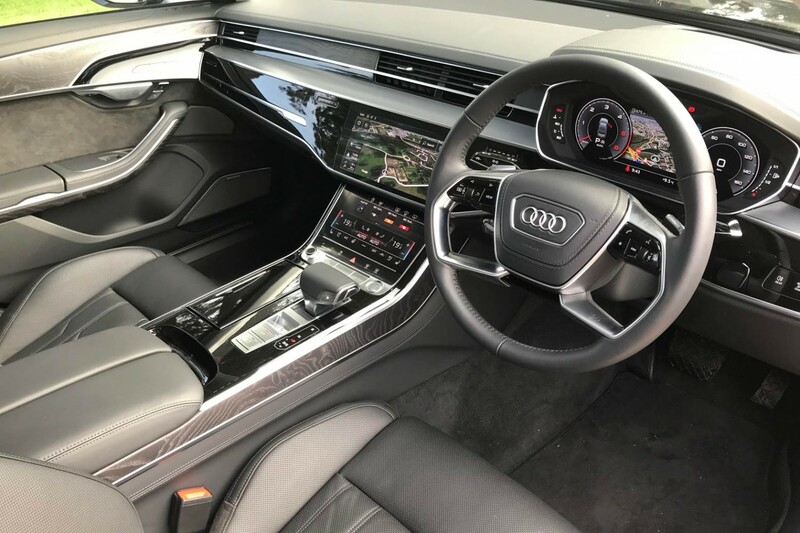 And behind the steering wheel is Audi's Virtual Cockpit system which can be fully personalised to show navigation maps, audio set-ups, telephone contacts and plenty more. There is also a head-up display so you can keep a watchful eye on your speed. 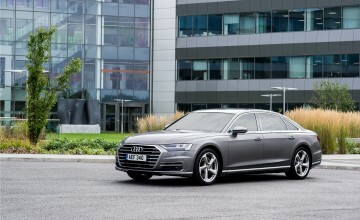 And you will need to because despite its size, the A8 is a powerhouse of a car. Driven by a 286ps 3.0-litre diesel engine mated to an eight-speed tiptronic gearbox, the car can fire its way to 62mph from a standing start in just 5.9 seconds and tops out at an electronically-limited 155mph. 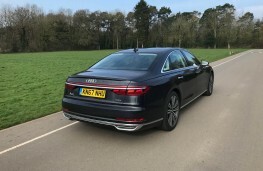 On the efficiency front, the A8 can deliver combined fuel economy of 50.4mpg with carbon emissions of 146g/km (48.7mpg and 152g/km on this car due to the larger wheels). 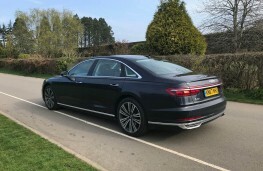 But despite all the facts and figures, it's the manner in which the A8 behaves that really impresses. 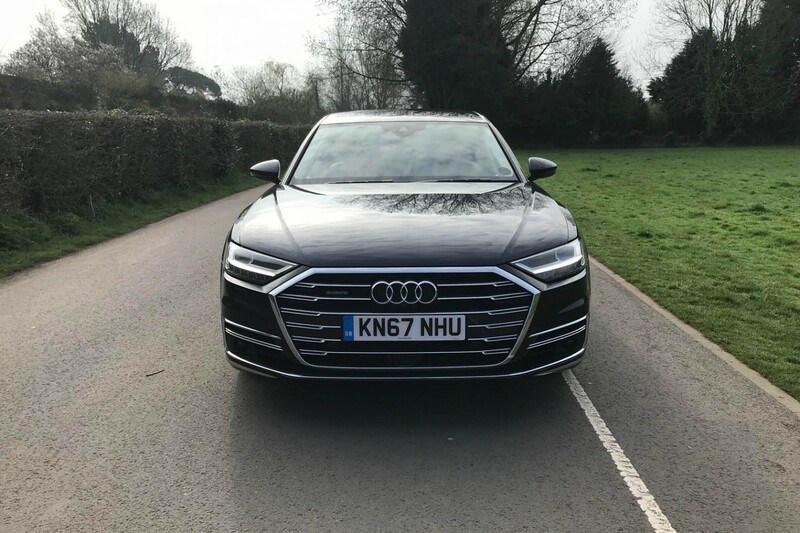 Faced with a motorway, it seems to glide across the Tarmac and then out on the open road, it's fabulously nimble as it sweeps through the twisting country lanes with confident road holding and direct steering. Barely a sound makes its way into the cabin and if it does, the Bang & Olufsen sound system soon drowns out that annoyance. 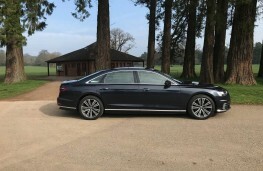 This is part of the optional Comfort and Sound Pack, priced at £6,350. 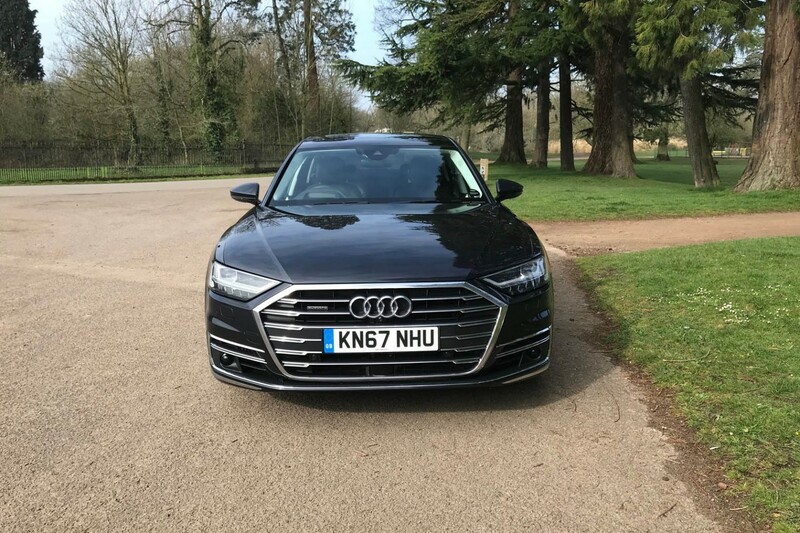 There are different driving modes called Efficiency, Comfort, Auto, Dynamic and Individual that alter the way the car handles, as well as steering wheel-mounted paddles to take control of the gear changes when the mood takes you. 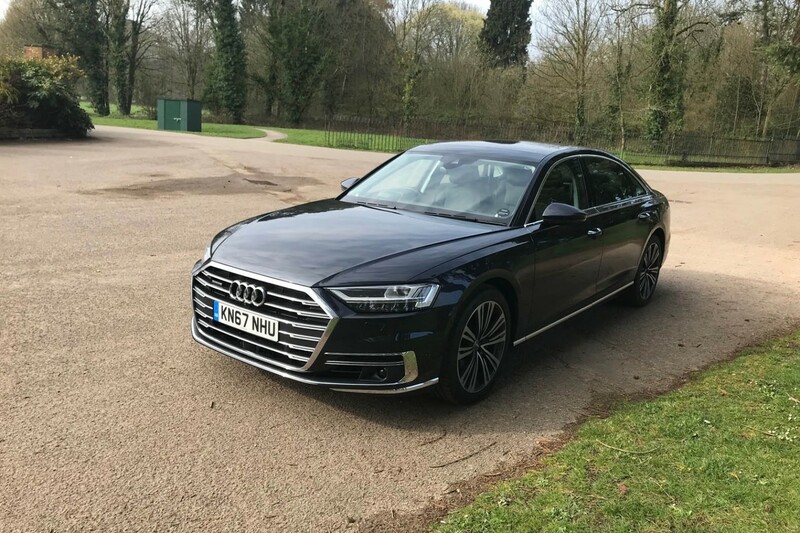 In the back, passengers are treated to vast amounts of legroom with the likes of reclining seats, TV screens and foot rests being just a few of the luxurious features on offer. 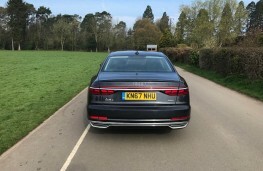 The power operated boot-lid opens up an area capable of storing 505 litres of luggage and throughout the car a number of convenient storage compartments can be found. 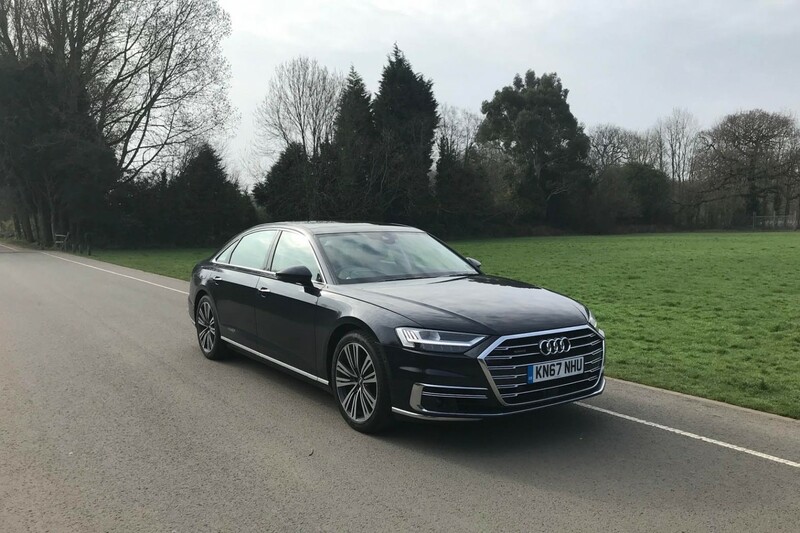 And as one would expect, the Audi A8 is packed to bursting with safety features and driver aids to help protect occupants and pedestrians alike. It also has Audi's quattro all-wheel drive system so you'll never miss another business meeting because of the weather. Audi is gradually introducing its own piloted driving functions called Audi AI as more and more premium marques move towards semi-autonomous motoring. Audi has the traffic jam pilot system that will take over the tedious job of stopping and starting the car in queues and it will operate at speeds up to 37mph. It looks after the brakes, accelerator and steering. This is just one of the systems that the German manufacturer has lined up for us. 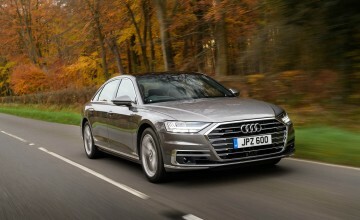 There will also be Audi garage pilot which will see the owner manoeuvre the car into a garage from outside the vehicle. 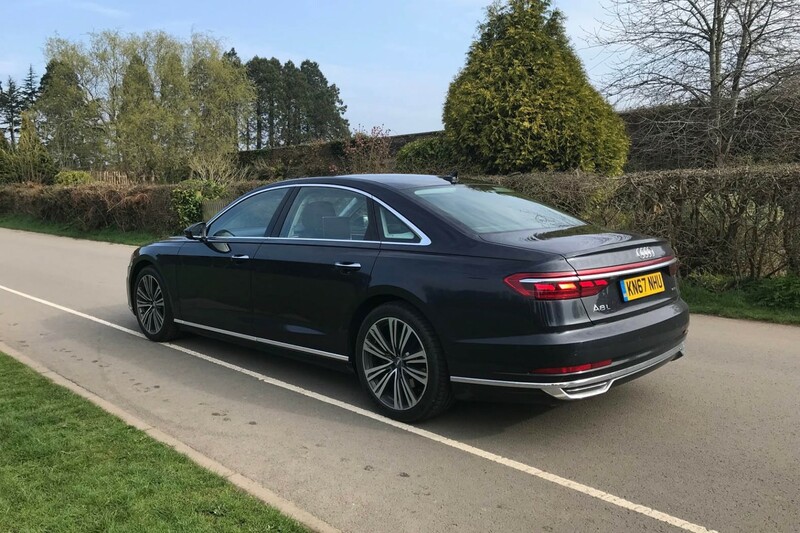 Then there is the Audi parking pilot which does just that. 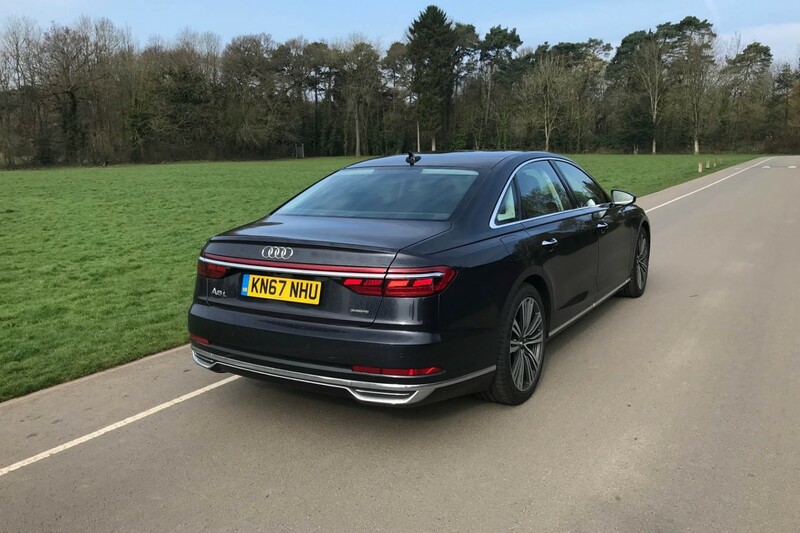 All in all, the latest A8 is a terrific limousine-styled vehicle that is certainly comfortable and practical enough for the business exec to work in.